What is Cocaine? Cocaine is a highly addictive derivative from coca or made synthetically, it is used as an illicit stimulant and can also be used medicinally by physicians as a local anesthetic. Cocaine, is also called coke, blow, crack, rock, and snow. Cocaine is most commonly used for recreational purposes, because of its stimulant effect. It is usually snorted, smoked, or made into a solution, that is injected intravenously. Quitting cocaine can be very difficult, because of the way the stimulant makes the user feel. 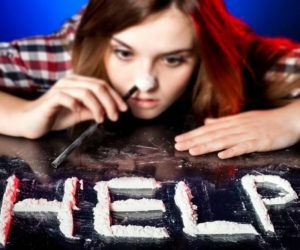 If you or a loved one are in need of information on how to get off cocaine, call the professionals at WhiteSands to find the right treatment plan for you. People that use cocaine, enjoy the way it allows them to do physical and mental tasks at a much faster pace. But, using cocaine in vast amounts can cause its users to become unpredictable, act out violently and bizarrely. The amount of time the high lasts depends on the method they use to consume the cocaine. If you are using cocaine, the best thing you can do for yourself is quitting cocaine. Cocaine is a highly addictive illicit drug, and is very difficult to quit using this illicit drug. Though, quitting cocaine can be much easier by learning and understanding all the many options available to you. The many benefits of quitting cocaine and the modes of experiences people have available to them, when they finally make the decision to stop using cocaine. There is no specific cocaine withdrawal timeline, everyone is different. That is why when you seek help at a treatment facility they make sure they have medical professionals and counselors sit with every patient and map out a tailor-made treatment plan that is specific to the individual. At WhiteSands, they do not believe in ‘one size fits all”. They explain the entire procedure on how to get off cocaine. This makes the patient feel at ease knowing and understanding what they are going to be doing step by step. Keeping in mind that it does differ somewhat for everyone that goes through the experience of recovery. The difficulty of the cocaine withdrawal symptoms will all depend on the frequency of your cocaine usage and the quantity of cocaine that was used on a daily basis, amongst various other factors. Quitting cocaine without medial and professional help can be risky and difficult to say the least. When quitting cocaine, the best and safest way is to find a treatment center that fits your needs. This way you can get around-the-clock care, medication to ease the detox and withdrawal phase, counseling, therapy groups, education on aftercare and learn about how to lessen the ability of relapsing. Keep in mind that how to get off cocaine; is not the most important question to ask. But rather, how do I learn to stay off cocaine and get my life back. This should be your main concern. Living a sober and healthy life, learning to stay away from the triggers that may cause you to relapse are important things to be concerned about. Finding and having a strong support system is also key to staying on your path to a happy life, surrounded by loved ones and all the things you enjoy doing.